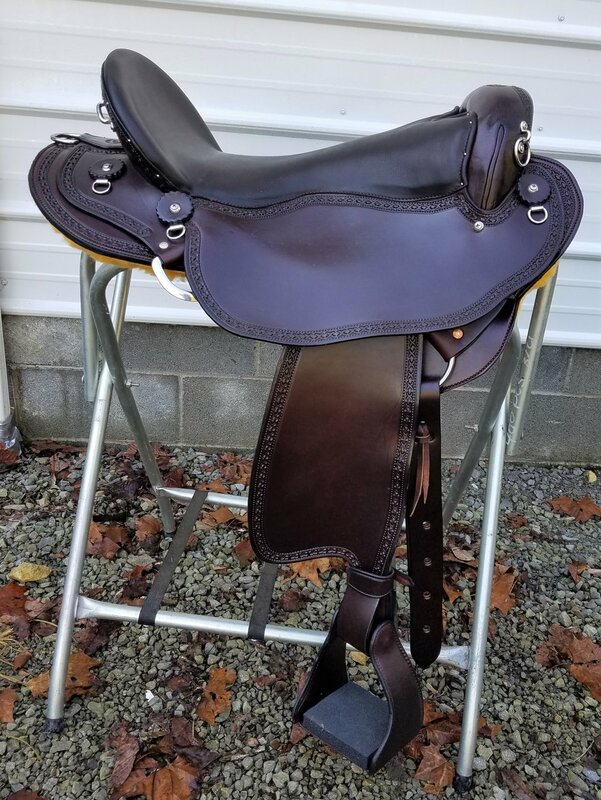 The Eli Miller Endurance Saddles are extremely popular with trail riders. It is super lightweight but still high quality. The leather is made in the USA by Wickett and Craig. It is supple and strong, for years of enjoyment. The seat is suspended, which is like riding on air. Much appreciated on those long trail rides. 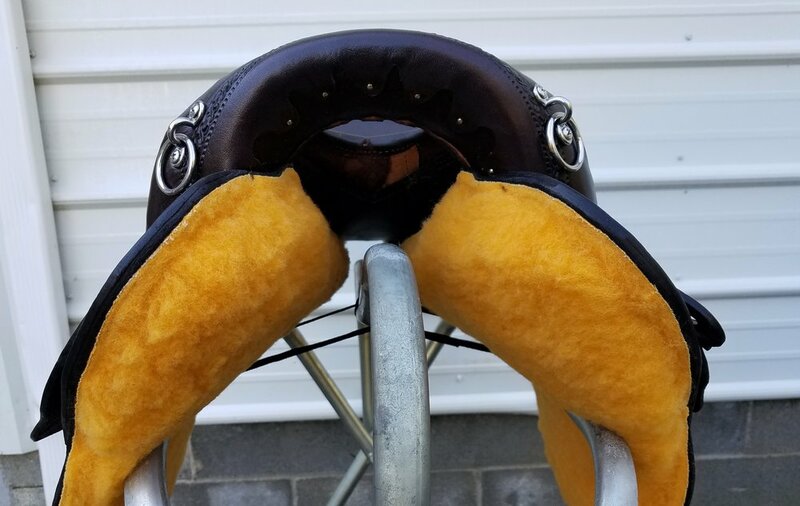 Many competition riders report that their horse moves out better and have more muscle development in the shoulder pocket after switching to this saddle. The wooden tree is made by Batie Custom Saddle Trees. It features 7 degrees more flare to the bars, which allows the horse to perform better. With less shoulder restriction, the horse can collect and maneuver so much easier. These are the only trees that we will use now and my horses appreciate it. The padded 16 inch seat will fit most riders. 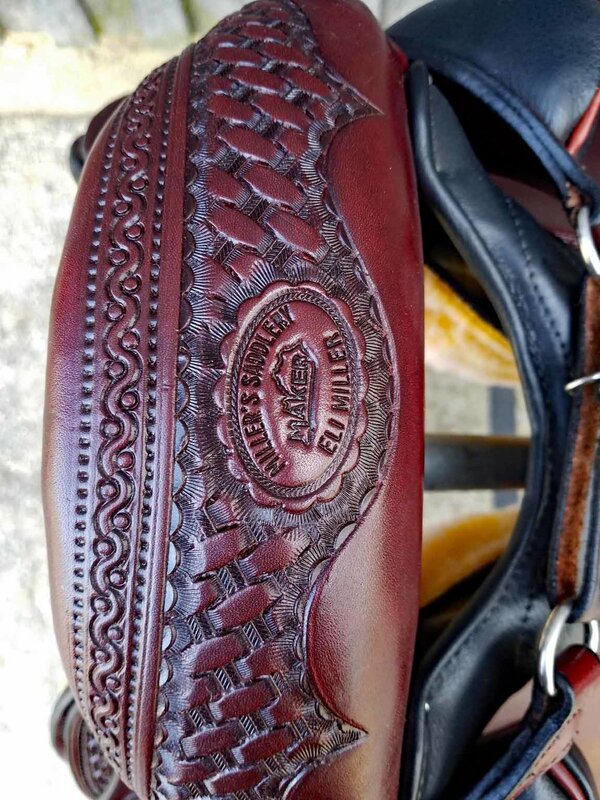 The pencil roll on the 5” cantle enhances durability. 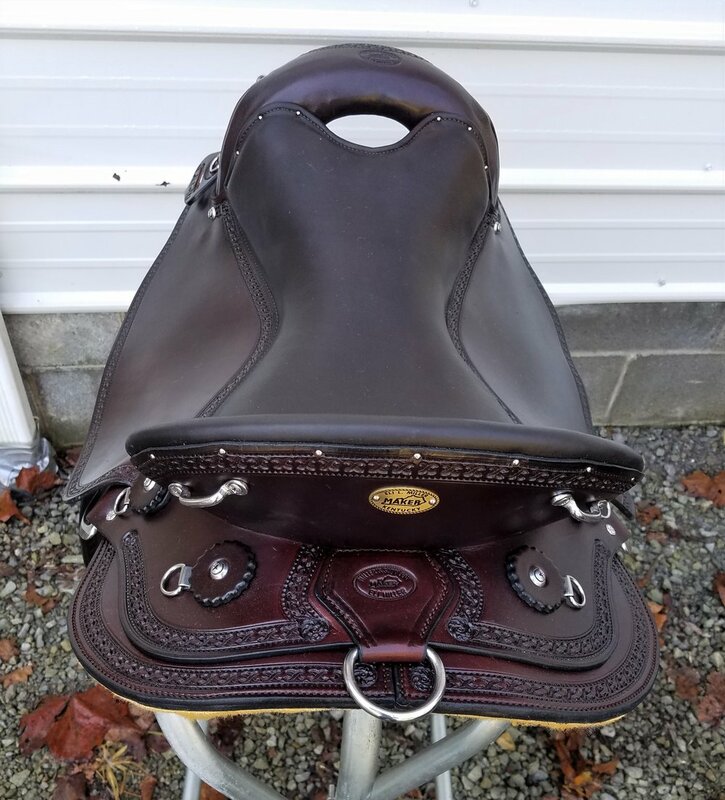 Heavy duty stainless hardware and dees secure your saddlebags, Western or English style breastplate and miscellaneous equipment. The back ring is tilted, so you have the option of using cernerfire rigging. 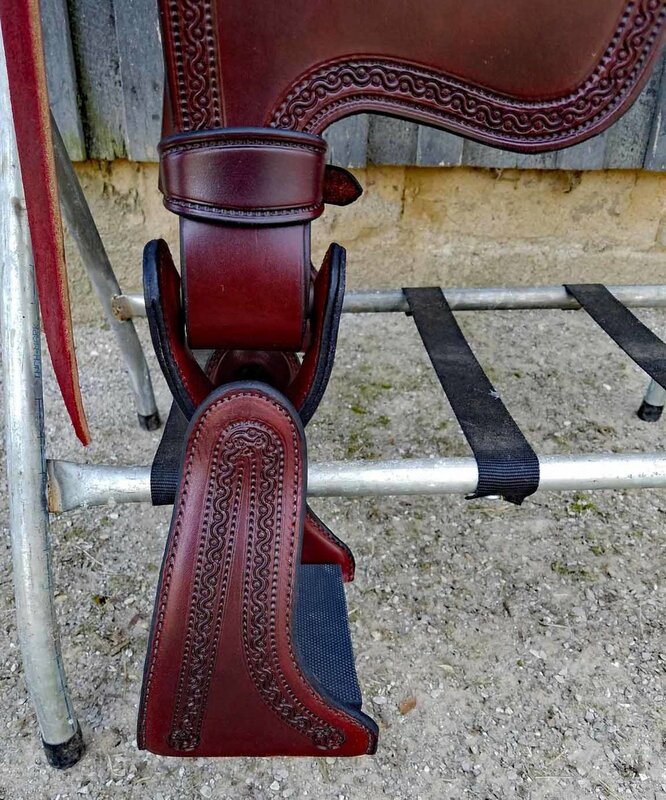 It can be ordered with a straight ring if you prefer a standard rear cinch system. 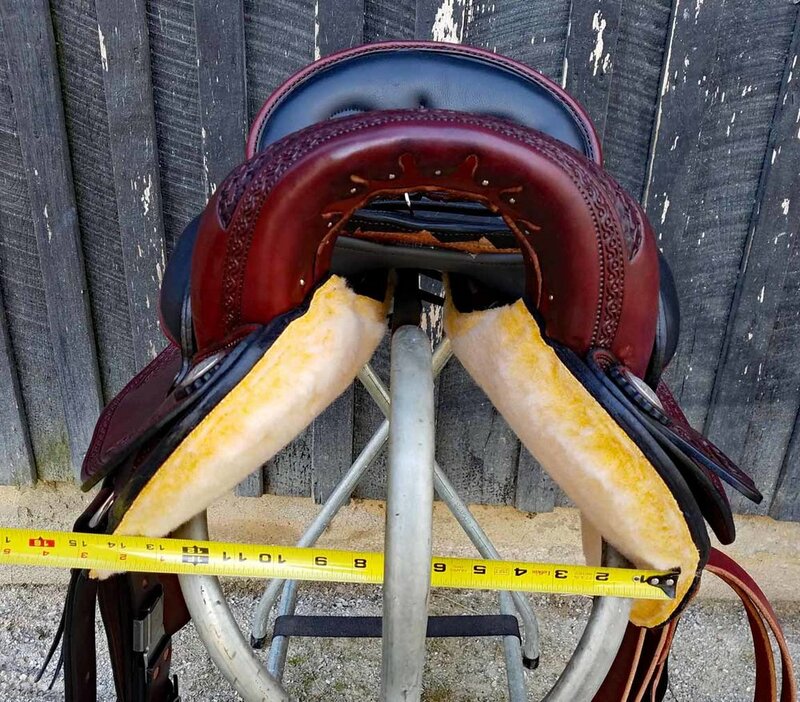 The stirrup bars on the tree are much smoother than many Western saddles. You can move your leg freely, forward or back. I appreciate that enhanced ability to use my legs properly. 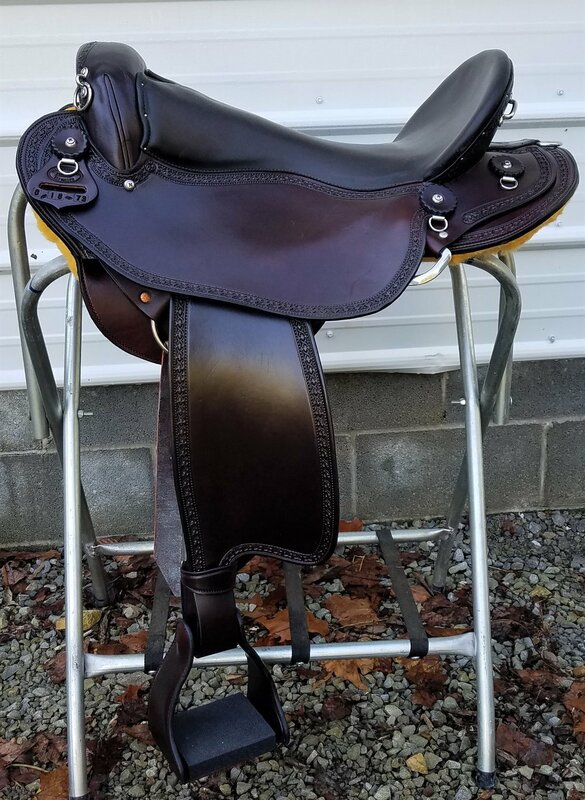 This saddle also has stirrup turners. This takes away all that knee pain after those long rides. Also, your stirrup is always there if you ever lose it. 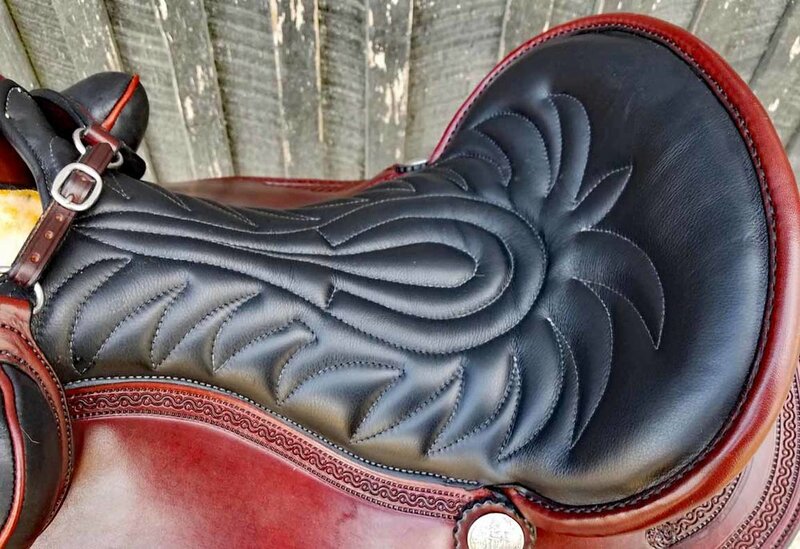 This saddle is lighter than most western saddles. 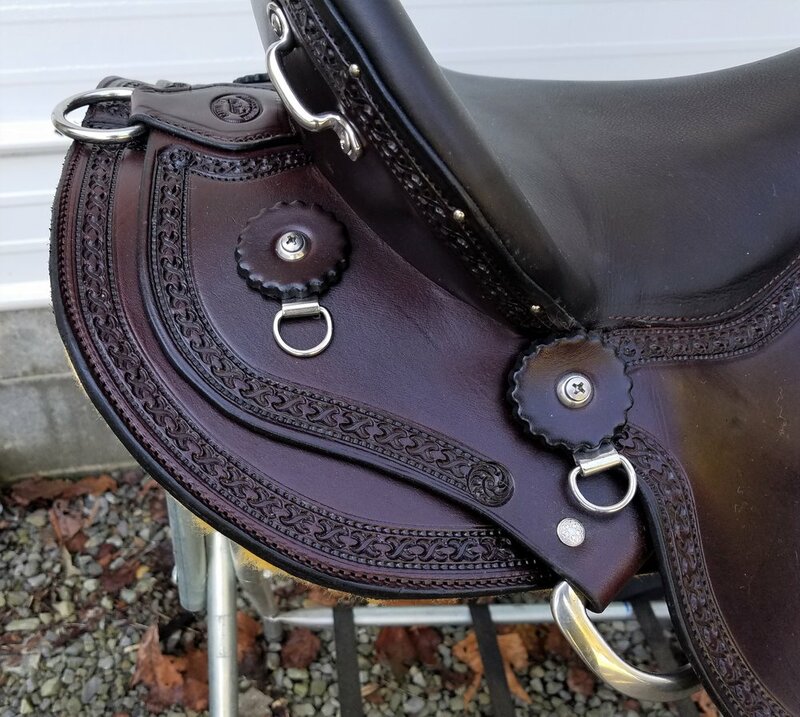 I love that it is easy to throw on taller horses, but still has the quality and craftsmanship that I demand. The suspended seat has a nice pocket that holds you in but does not restrict movement. 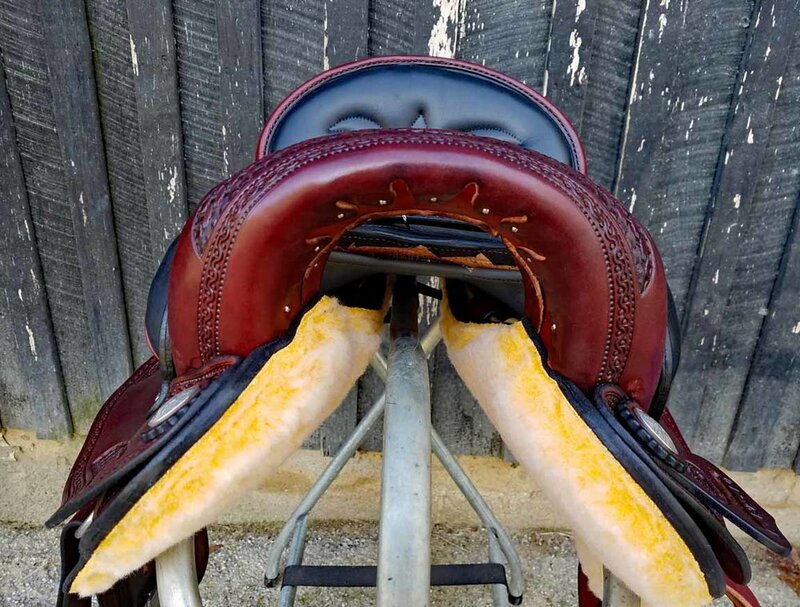 Many riders switching from English to Western will appreciate the contact, flexibility and the weight of this saddle.